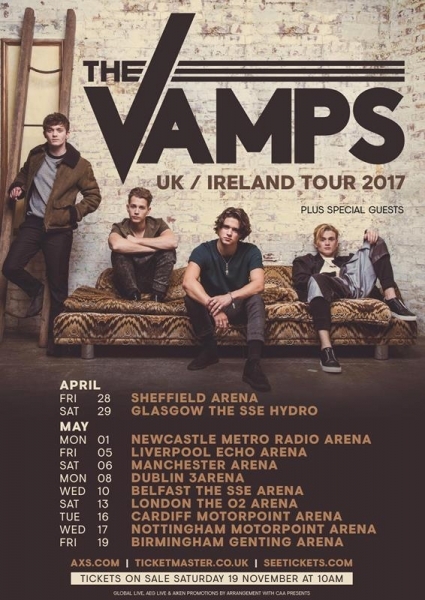 The Vamps performing at The Motorpoint Arena Nottingham on Wednesday 17th May 2017. 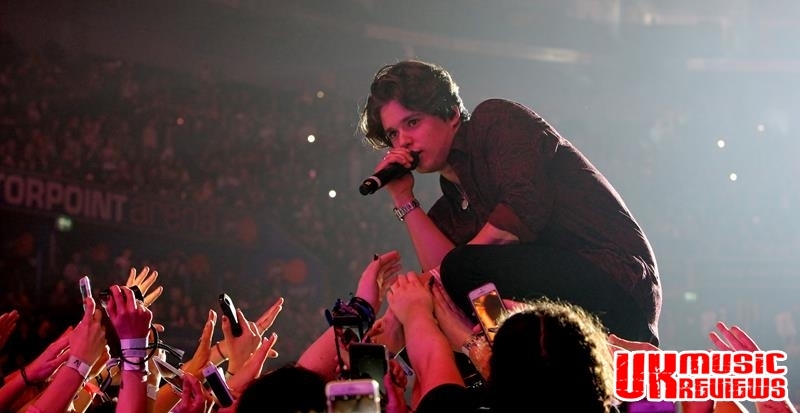 The show took place in front of a giant TV screen which showed great close ups of the band, as well as videos to the songs they were performing, including a certain Brooklyn Beckham starring in the video for opener, Wake Up. Making excellent use of the runway the band commanded the stage much to the delight of the screaming thousands. 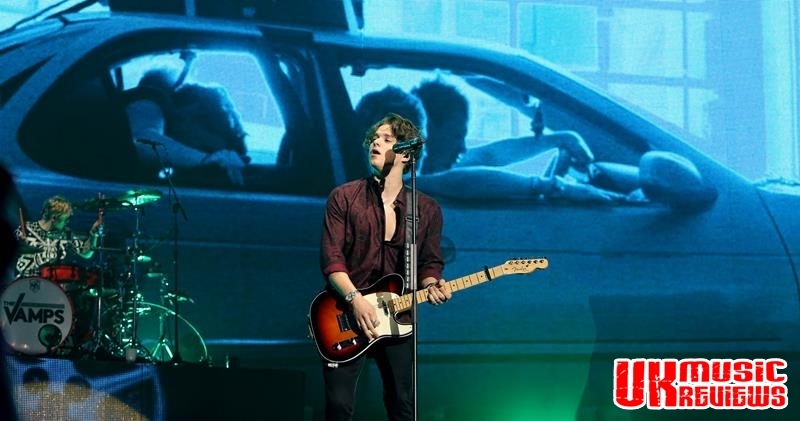 Although the quartet which includes guitarist James McVey, bassist Connor Ball and drummer Tristian Evans are loathed to call themselves a boy band, because they write their own songs and play their own instruments, but given that the bulk of their fan base is made up of pre-teen girls and their mums, it is a label that they will find it hard to escape from. 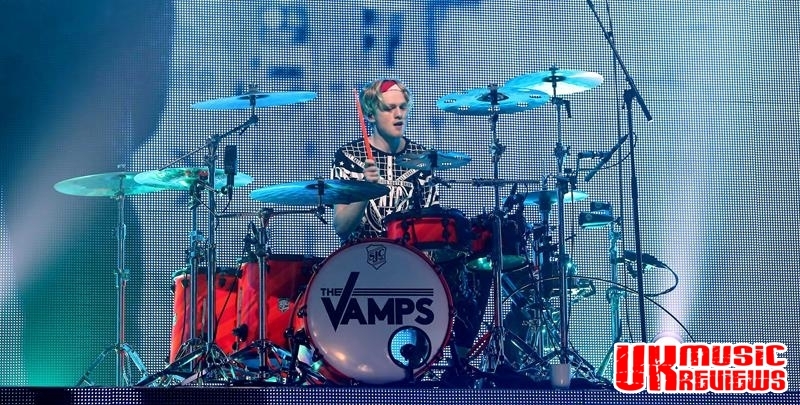 But whatever category they put themselves in; they were chaotic, fabulously entertaining, energetic and extremely talented. 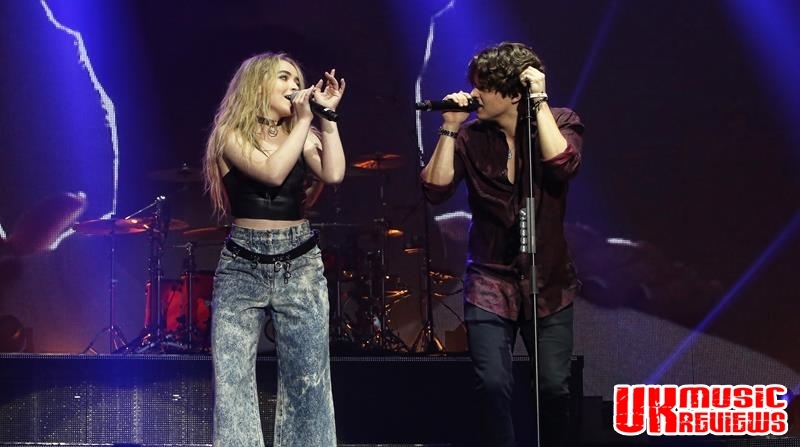 Sabrina Carpenter, one of the three supporting artists, joined them on stage for fun new track, Hands. They played a stripped back version of Oh Cecilia (Breaking My Heart) which was beautiful. 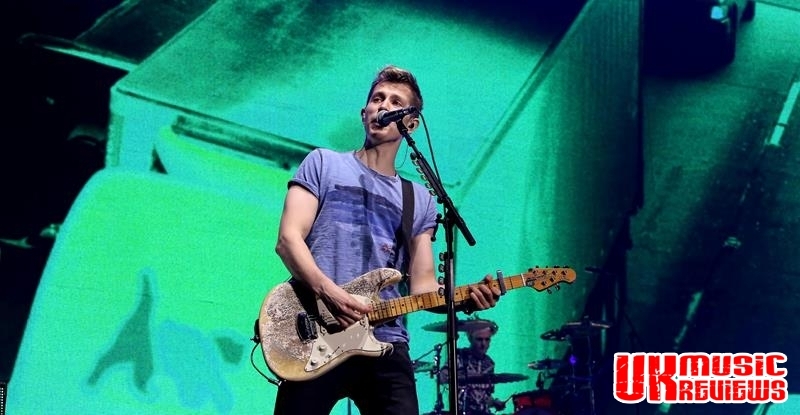 Can We Dance and Last Night are played towards the end of the set and got the best reception from the besotted crowd, but even before this the atmosphere hardly ever dropped below hysterical. 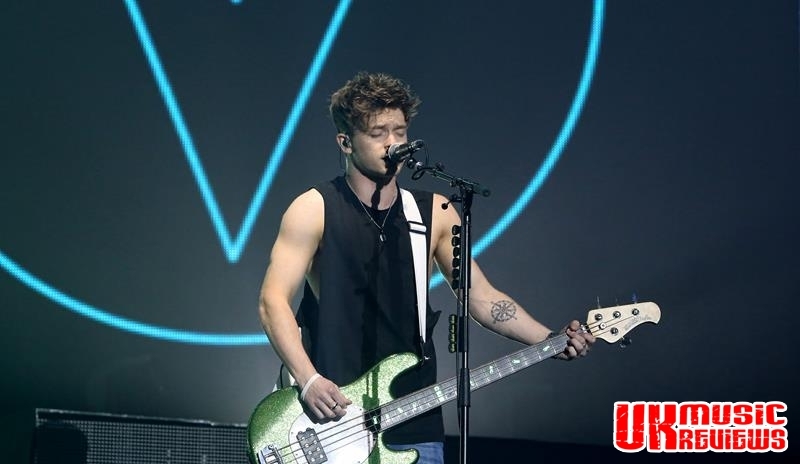 Closing the show with All Night, The Vamps had earned their title of genuine musicians. Which of course is a good thing; boy bands tend not to be around for very long, just look at Take That.